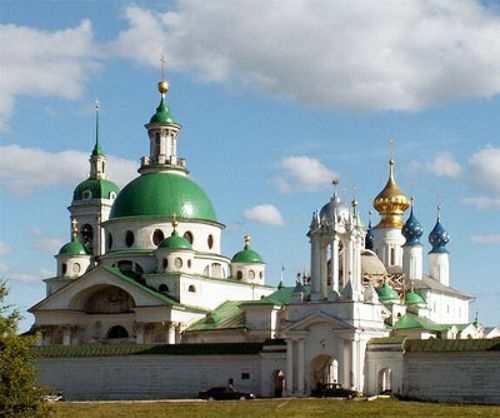 Rostov is a popular destination for many tourists who choose to travel around Russia. It attracts people by its attractions, climate and wonderful sites of river Don embankment. This is a southern city hence the weather is good all year round and even in the winter it is not very cold. There are many green spaces, and during the summertime, you can bask in the sun or go on a relaxing boat ride down the river, a glass of wine in hand. 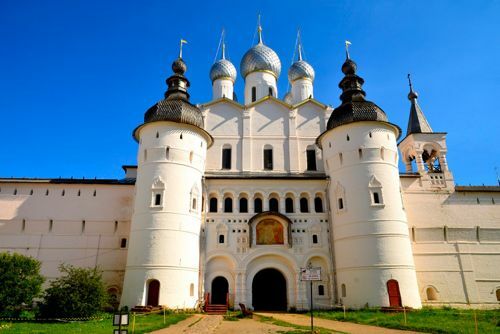 Once you’ve checked out all the main historical places in Rostov-on-Don, and you have some time to spare, you should make sure to stop by the nearby town of Azov. Steeped in history, the town once served as a Turkish outpost, and today is home to the remains of Azov Castle. This is particularly important if there is going to be a group of people, where taking an option of renting a minibus with a chauffeur could be the best solution in this situation. 8rental is a well known rental company, which offer a wonderful minivan with driver services. Our fleet is a modern one, our drivers are professionals and we try to offer the best support to all our customers. Just send us a quote and fill out all your requirements regarding the minibus and the driver and we will proceed your request immediately and come back with a reservation in no time. We understand that customer service involves much more than having a conversation on the phone. Responding to requests over email, live chat, and social media are equally important communication channels for customers. While there is much overlap in the customer service skills required to do a great job, each channel also benefits from a unique approach to these skills. In this way, we have trained our CS team to offer the best support through any channels and help our customers remain satisfied with our services. An average minibus or a van can fit up to ten people onboard or even more if a bigger capacity vehicle is ordered in advance. We believe that it is quite inconvenient for such a relatively large group of people to move around a large city in public transport. The total costs of using public transport for a group of up to ten people or more will be roughly equal to the total cost of a minibus rental. Therefore, taking such an option may be perceived as nothing but something obvious. 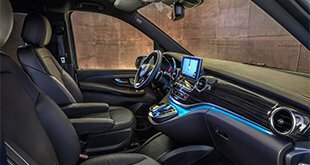 By choosing this option you will not only guarantee yourself with the best comfort and flexibility but also eliminate the risk of paying speeding penalties, parking penalties, breaching traffic code, and being responsible for cars accidents or many other things that may occur on the road. The driver will also help you with the logistics of avoiding traffic jams, visiting the city’s attractions, optimizing your time during your travel and manage to pick up everyone on time. You will be picked up upon your arrival whether that will be the airport, the train station, or the river port. The transfer will be made right to the place where you are going to stay in a hotel or to the rented apartments. If any member of your group is arriving on a different flight or different train apart from other members of the group they are going to be picked up anyway and that will be free of charge. If there will be any members of your group that is staying separately in a different place from the others they will be transferred and picked up from their place just as any other members. 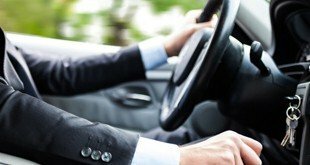 You do not have to drive the vehicle as you will be driven by a professional driver. The driver is very experienced as he has done his job for many years and not only knows the streets and routes of the city very well but also can deal with adverse situations on the road very efficiently. A driver will be available for your company during the whole day and night as his partner will swoop him when a rest is required. Drivers can speak English and may also communicate in other languages, providing your company with basic information about the city: where to dine, where to have a cheap meal, where to purchase souvenirs and where to go shopping, etc. Are you still doubting that renting a minivan with a driver is the best solution for your group of friends or family? Book a minivan with a driver with 8rental and you will see the difference!